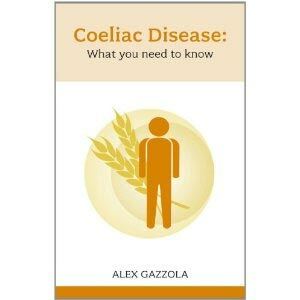 I recently received a review copy of Coeliac Disease*, written by Alex Gazzola. 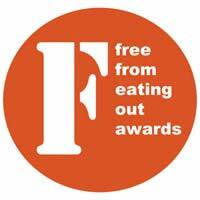 Alex is a health journalist with a special interest in digestive health and coeliac disease. And his expertise shows… This is a slim volume, but packed with information, covering everything from symptoms and diagnosis, through shopping and nutrition, to the history and future of treatment, via a range of practical issues. It would be an ideal book about the condition for the newly diagnosed, and also for those seeking diagnosis, but even for those of us who have been dealing with the issues for well over a decade, the book includes interesting information. My copy of the book is now covered in Post-Its: I was particularly interested in the section discussing coeliac disease across the world. There are also explanations of technologies developed since we went through the diagnosis phase, such as video capsule endoscopy, and discussion of the downsides of the ‘free-from’ market. Lots to think about! Discussion of the testing process is particularly useful for those seeking a diagnosis, covering reasons for testing, the types of testing available, the importance of remaining on a gluten-filled diet before the test and the benefits of diagnosis. I was pleased to see the emphasis on being tested by your medical professional; something which the gastroenterologists were also keen to impress upon us at the recent conference. This is because some of the privately available tests, and alternative testing techniques have very little evidence behind them. This is a UK-based book: the information about labelling and about prescriptions is UK-specific, and likely to become outdated over time as regulations change – as is, I hope, the chapter on the future outlook for treatments, as they progress from being possible options towards fully tested solutions. No doubt this book will have been reprinted in later editions by then! However, there is much in the book that applies to anyone, no matter where they live. I predict it will be very popular – it’s launching on May 12 2011, but you can pre-order it at Amazon now*. Good to meet you today at the Allergy Show – and thanks so much for taking the time to review my book. Glad you’re finding it interesting! Hi Alex – thanks for pointing this out. A classic example of ‘spun’ content, and actually rather entertaining in an awful way (I rather like the idea of being lonesome in post-its)! Ha, no, I doubt it very much. But it gave me a good laugh when it showed up on my Google alert!